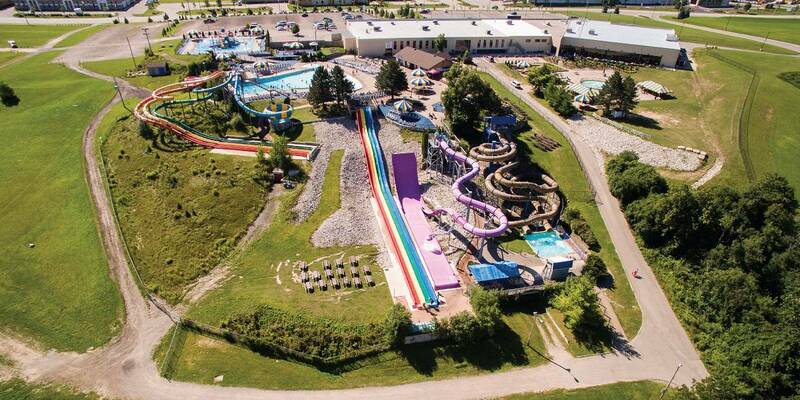 Big Splash is the area’s largest water park, offering days of fun and excitement for kids of all ages. 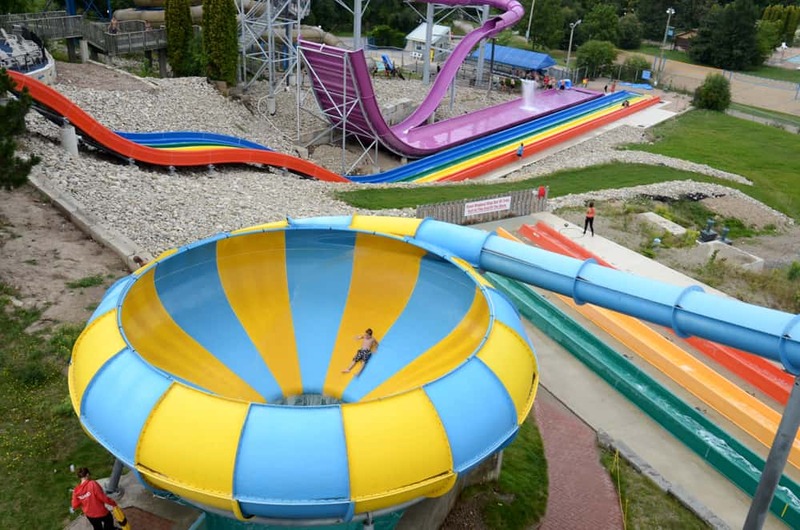 Enjoy the Heated Wave Pool, explore Spray ‘N’ Play (our water park for kids), and plunge down the 11 HUGE water slides including, Boomerango, Full Throttle, The Cyclone, Torpedo Bay, and The Pipe! 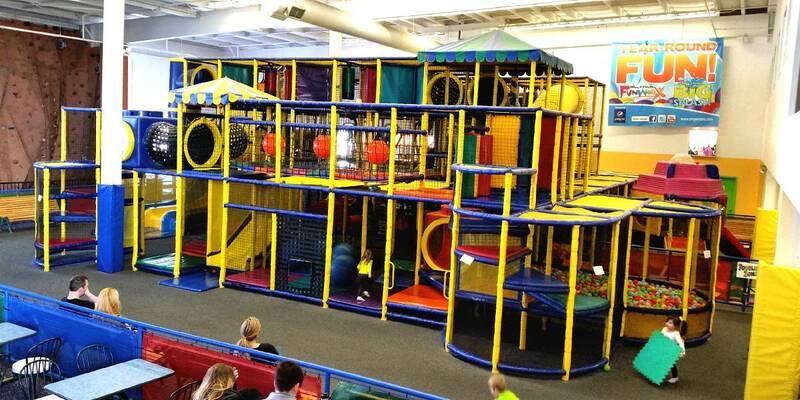 Your Big Splash Pass also includes access to the FunworX Three-Level Indoor Play Structure! Looking to Play & Stay? Bingemans Camping Resort offers a variety of campsites, seasonal camping, and Log and Container Cabins! 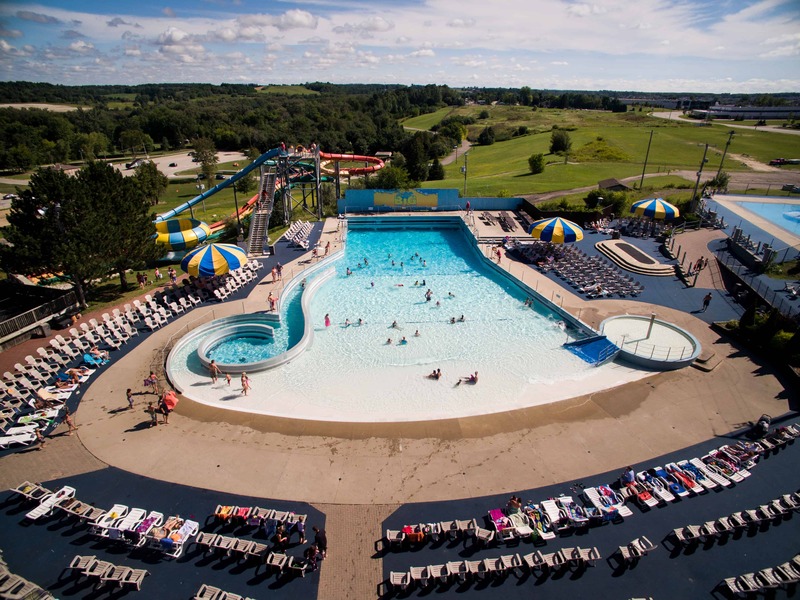 Big Splash is open seasonally, please CLICK HERE for hours of operation. Boomerango a high-octane ride sure to get the adrenaline flowing! The riders are hurtled down a huge drop in a raft as it races towards an almost vertical wall. Once the riders travel up and down the wall, they slide their way over some big bumps while their raft is turning and spinning to the finish line. Full Throttle sends four friends in a slippery, watery race to the finish line as each bomb down separate slide lanes towards a wild, splashy finish. Fantastic excitement with your friends! The Cyclone Powered by centrifugal force, the rider circles round and round until the laws of gravity rule and the rider drops into the splashdown pool below. Torpedo Bay pits three friends down separate enclosed AquaTube slides. Who will win? No one knows, since each of the three slides in the Torpedo Bay complex takes a unique course of curves and spirals before the drop-off. Spray ‘n’ Play Our interactive water playground will keep everyone busy with enjoyment, from geyser jets, controllable water flows, three children’s slides, net walk, water umbrella, 1200-gallon tipping bucket and more. This is the place for kids to play for hours and for parents to relax and enjoy or partake in the excitement. Wave Pool Waterloo Region's first and largest wave pool always guarantees fun. From an assortment of alternating wave patterns, circulating channel and water umbrella, come enjoy waves of fun. Only CSA approved life jackets may be worn in the wave pool. Life jackets are available for rent at the Surf Side Grill. The Pipe Totally awesome, totally enclosed, totally yours to discover, these two twisting pipe slides combine both speed and thrills. Bingemans is a multi-use park, campground, conference and event centre and catering service located in Kitchener, Ont. Explore FunworX all year long, a three-level indoor playground for children of all ages, GameworX Arcade, ropes course, Excavation Station and EscapeworX. The camping resort features 450 sites for tents, trailers and RVs, seasonal camping, log cabins and container cabins. Bingemans is also home to Canada’s largest Boston Pizza, 28 lanes of 10-pin bowling at Kingpin Bowlounge, billiards, ping pong, outdoor beach volleyball, three food trucks and outstanding banquet and catering facilities for your business or wedding needs. Celebrate North America’s largest Oktoberfest celebration at Bingemans’ Kool Haus and Paulaner Haus and experience Canada’s most terrifying attraction, Screampark. Website: Visit BigSplash.ca for more information!